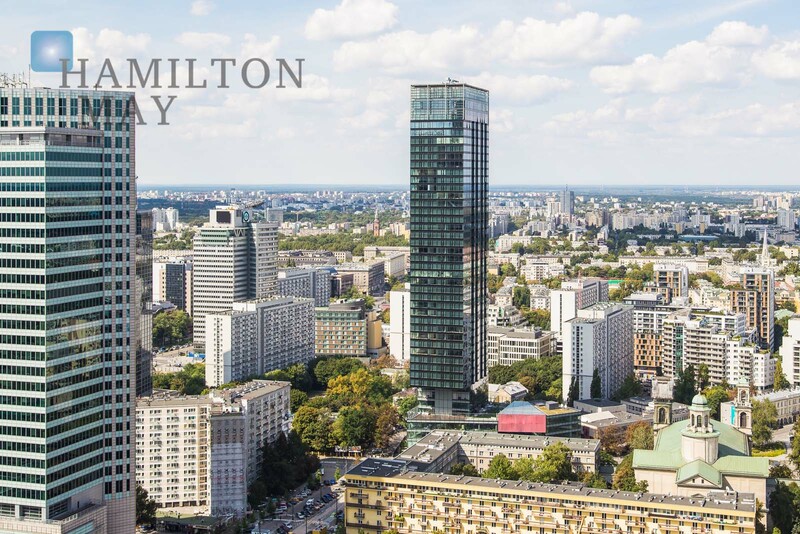 Hamilton May has been appointed an agent for a stunning and contemporary apartment in the Cosmopolitan Tower development, located in the heart of Warsaw. Hamilton May presents a luxurious apartment located on the 11th floor of a prestigious development, which will surely satisfy even the most demanding customers. Hamilton May is pleased to present a beautiful, two bedroom apartment available for rent, located in the Cosmopolitan Tower investment, in the heart of Warsaw. Hamilton May presents an apartment available for rent in the most prestigious residential investment in Warsaw. Cosmopolitan Tower is the second highest building in Warsaw. The 160 m high tower comprises 44 levels with residential section starting on the 8th floor. From 1st to 3rd floor there is commercial space, whereas ground floor is designed for shops and restaurants. 3 underground levels hold car parking with 299 spots. Relaxation zone located on the 4th floor, dedicated exclusively to residents. It consists of fitness club with gym, massage parlour, wet and dry sauna, jacuzzi and club rooms. There is also 950m2 green terrace arranged on the 4th floor, overviewing Grzybowskiego square. Cosmopolitan skyscraper sits on the corner of Emilii Plater and Twarda steets. It is perfectly central location - within 5 minutes walk Palace of Culture and Science, Central Railway Station and Golden Terraces shopping center can be accessed, as well as business center surrounding ONZ roundabout and Emilii Plater street. Public communication in the area is perfectly developed - metro station and bus stops can are located in the immediate vicinity. The neighborhood provides wide selection of service points, restaurants and cafes, clubs and pubs, theaters and cinemas.